HWiNFO64 is a professional hardware information and diagnostic tool supporting latest components, industry technologies and standards. 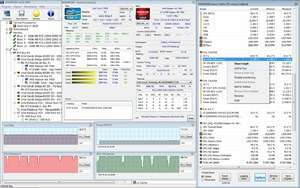 This tool is designed to collect and present the maximum amount of information possible about PC's hardware which makes them suitable for users searching for driver updates, computer manufacturers, system integrators and technical experts as well. Retrieved information is presented in a logical and easily understandable form and can be exported into various types of reports. For security reasons, you should also check out the HWiNFO64 download at LO4D.com which includes virus and malware tests. Additional screenshots of this application download may be available, too. 4.5 out of 5 based on 56 ratings. HWiNFO64 download been highly rated by our users.